MAS–macrophage activation syndrome–is a rare, acute, inflammatory condition that is difficult to diagnose and treat, especially in someone who has SLE. Macrophages are important actors in the immune defense response; they are soldiers sent into battle when the body is under attack by microorganisms. 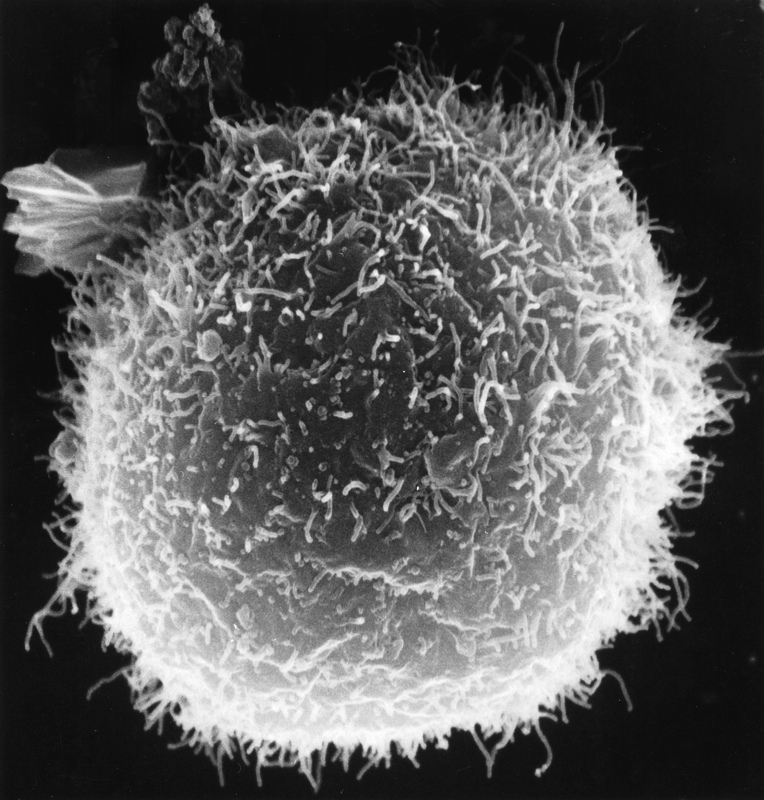 A macrophage surrounds and consumes the invading enemy. Sometimes, however, the army of macrophages becomes hyperstimulated; the soldiers lose their sense of purpose and start directing their energy toward healthy cells. As macrophages consume healthy cells, bone marrow and organs throughout the body are eventually affected. The situation rapidly may become urgent. MAS is largely a medical mystery, but a few facts have emerged in recent years to help doctors sort out this confounding and dangerous syndrome. Children are more often affected than adults. In children, the syndrome appears to be most common in those who have juvenile idiopathic arthritis (JIA). When it strikes adults, the disease is seen most often in patients with SLE. According to one researcher, 60% of all MAS cases in adults occur in people with systemic lupus. However, even this estimation may be low, because symptoms of the syndrome are so difficult to distinguish from underlying SLE symptoms that the disorder might be mistaken for a lupus flare and thus overlooked. It has been suggested that one of the triggers for the syndrome may be a chronic or prior infection, particularly in the case of Guillain-Barre or CMV. This is especially true when MAS occurs in a child with juvenile idiopathic arthritis. It seems that the repeated activation of macrophages by the presence of foreign bodies (the viral or bacterial agent) triggers an aberrant immune response, which sends the incensed soldiers on a rampage. As the condition progresses, acute multi-organ inflammation may occur. A sample of bone marrow might show active phagocytosis (literally, eating) of blood cells. Fever, diffuse hemorrhaging, mental disturbance–all, and more, may be manifestations of MAS. Some lab tests, besides phagocytosis of blood cells in the bone marrow (which does not always come up positive) can suggest MAS. These indications, taken together, may present a picture that is suggestive of the condition. The indications include declining ESR and platelet counts, and a rise in serum-dimer and ferritin. Treatment of MAS has been the subject of many studies, but to date no absolute protocol has been established. One clinician reports that treatment with Rituximab was successful in turning around a critical case in a patient with underlying SLE. In a September 2013 letter to the Journal Lupus the following course of treatment is described: The patient was a 45-year-old male with SLE. At first it seemed the issue was infection, with the possibility of an underlying lupus flare. These two conditions were appropriately treated but the response was not good. The patient was then treated with a course of anti-viral and anti-fungal medication, but his condition continued to decline. Finally, the diagnosis of MAS was tentatively arrived at after the results of a bone marrow sample and other lab tests came in. Rituximab was administered; the patient responded well and eventually recovered. This therapy was followed up with mycophenolate as maintenance therapy. A 2012 Medscape article weighs the choices a clinician has when treating MAS. It is clear from the Medscape discussion that unanimity on a treatment protocol for this condition does not exist. Corticosteroids, cyclosporine and anakinra are among the most frequently used medications. There are others mentioned in the article; each apparently has shown success in some instances and in other instances has not. What seems to be important for having a successful outcome in MAS–besides luck–is careful monitoring and rapid adjustment of treatment to accommodate a fluid clinical situation. MAS is a medical mystery. Its association with prior or chronic infection may explain some cases. Some cases, particularly in the very young, may be genetic in origin. But most cases arise without warning and the specific trigger may never be known. MAS has similarities to other acute inflammatory conditions, and yet it is distinct. MAS belongs to a large class of immunological disorders that defy understanding and demand further research. Increasingly, it is becoming clear that advances in the field of immunology will be key to addressing an array of medical conditions, including autoimmune diseases, cancers and acute inflammatory states. MAS is just a tiny piece in an enormously complex puzzle, but understanding this acute phenomenon and developing a treatment for it will aid in the management of a host of other diseases. By aglupuswriter in Uncategorized on October 18, 2014 .